NRL coach Trent Robinson, and his wife Sandra Stefan, welcomed their son Finn on February 22. Trent is the new coach for the Sydney Roosters, having previously been their assistant coach. Trent has played for the Wests Tigers and the Parramatta Eels in the NRL, and also gained playing and coaching experience in France – the country his wife Sandra is from. 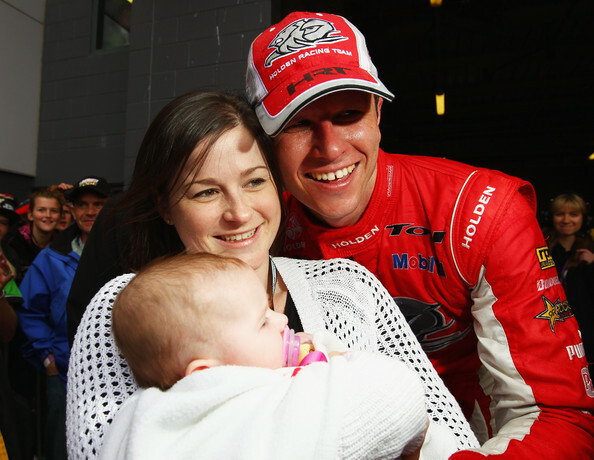 Racing drivers Garth and Leanne Tander welcomed their son Sebastian on February 20. Sebastian Tander joins big sister Scarlett, aged 20 months. Horse trainer Chris Waller, and his wife Stephanie, welcomed their daughter Nikita Jayne on February 20. Nikita is their second child. Chris is originally from New Zealand, and is one of Australia’s premier trainers. Stephanie is a former model, also from New Zealand, and she handles the PR and marketing for Chris Waller Racing.